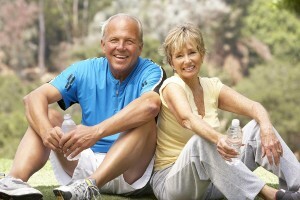 For many years, Medicare Supplement Plan F has been the most popular Medicare Supplement plan. However, many Medicare beneficiaries are now choosing Plan G. Plan G has increasingly become the more popular Supplement plan as Plan F will no longer be offered in 2020 due to the Medicare Access and CHIP Reauthorization Act of 2015. In many scenarios, Plan G can offer significant yearly savings with very rich benefits. What is the difference between Plan F and Plan G? Medicare Supplement Plan G is nearly identical to Plan F except for one difference-the Part B deductible. The Part B deductible in 2019 is $185. The Plan G does not provide coverage for this deductible which means the member would be responsible for paying the Part B deductible ($185 in 2019) out of pocket when incurring Medical expenses for things like doctor’s office visits. Once the Part B deductible is met, the Plan G pays exactly the same benefits as the Plan F.
Will I save money with Plan G? Lower premiums are a primary reason why many Medicare beneficiaries are choosing Plan G. In recent years, the monthly premiums for Plan G have been significantly less than Plan F premiums. Plan G has also incurred lower rate increases in recent years. What does Medicare Plan G pay for? Medicare supplement Plan G will pay for your hospital deductible as well as other copays and coinsurance under Medicare. What does Medicare Plan G not pay for? Medicare Supplement Plan G does not pay for the Part B Deductible. It also does not include any prescription drug coverage like most other Medicare Supplement plans. Most Medicare Supplement beneficiaries also enroll in standalone Part D prescription plans for drug coverage. Is plan G the most popular Medicare supplement? In recent years, the Blue Cross NC Plan G has become the most popular Medicare Supplement. Due to Plan F being discontinued for new enrollees in 2020, most insurance companies have strategically made the Plan G a more competitively priced and more attractive plan. Why should I choose plan G? Once Plan F is discontinued in 2020, Plan G is going to offer you the greatest benefits under any of the Medicare Supplement plans. Plan G is the most popular Medicare plan because of its wide range of coverage and minimal out of pocket exposure, while offering lower monthly premiums when compared to Plan F.
If you are turning 65 or considering switching your Medicare Supplement plan this year, give us a call and speak with one of our professional Medicare specialists. We are happy to discuss how Medicare Plan G will benefit you, and assist you through the application process. CLICK HERE to request a personal Medicare Supplement quote and discover your Medicare Supplement plan options.